But as The Dark Knight demonstrated these vehicles have a propensity to be destroyed. What does Batman do when Wayne Enterprises isn’t developing some new concept that the Batman can co-opt in his crusade against crime? As long time readers of the comic books know, he simply purchases a new car on the market and customizes it with armaments, upgrades, and, as is fitting of a multi-billionaire business genius, his own branding. Centives decided to look at these commercially available cars to find out how much your average run of the mill Batmobile costs. Batmobile History has meticulously recorded every single version of the Batmobile to have ever made an appearance and has figured out based on the design of the car, exactly which automobile Batman modified to speed across the streets of Gotham. Centives then used data from here to find out how much money the Wayne Trust Fund would have had to dole out for the vehicle. Centives found that the average Batmobile costs $214,700. 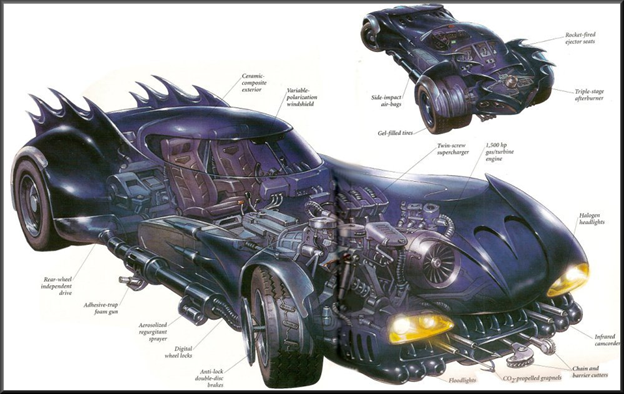 The most expensive Batmobile was the 2004 version seen in the comic books. 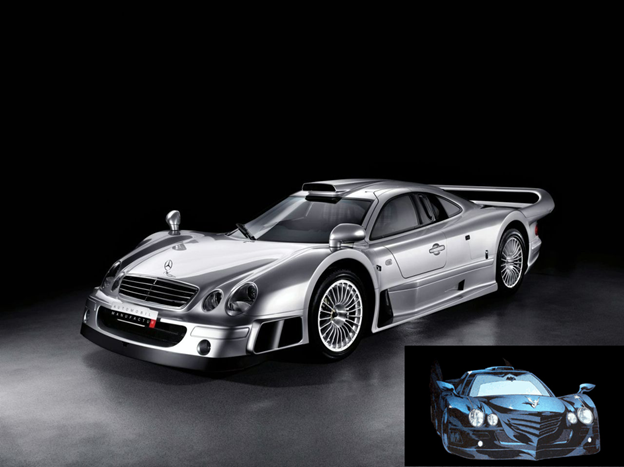 It was a modified Mercedes-Benz CLK-GTR and in 2010 dollars it would have cost around $1.8 Million. The cheapest was the 1950s Studebaker which Batman used from 1950-1955. In today’s dollars it would have cost him just $13,604. The Batman’s flair for the dramatic has increased substantially over the years. In the first four decades of the Batman’s existence, between 1940 and 1970, the average Batmobile cost only $32,000 inflation adjusted dollars. The Batmobiles over the next 30 years cost an average of $358,000. 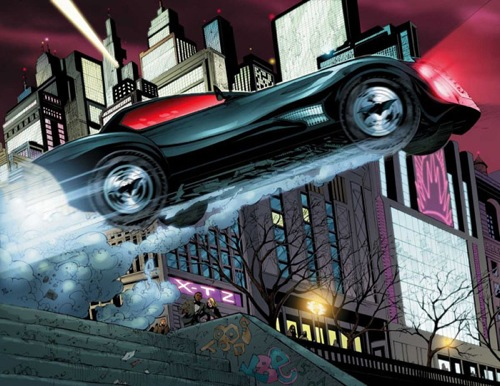 Cars from Chrysler and Lambroghini appear to be Batman’s vehicles of choice with the two companies together making up 32% of the Dark Knight’s purchases. Batman’s method of transportation also reflects wider trends in American history. Up until the early 70s the majority (70%) of Batman’s vehicles were made in the United States. From 1973 onwards just 25% of the Batmobiles were made in America, reflecting a broader decline in the American automotive industry. And the country that the caped crusader has given his stamp of approval to is the notoriously mob-free Italy. 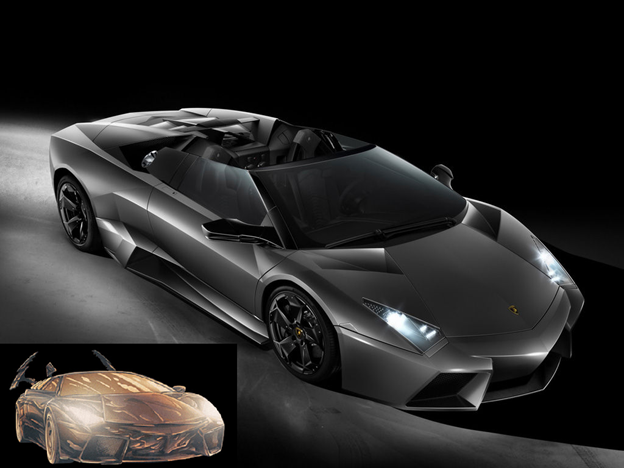 Close to 50% of Batman’s foreign cars– such as the Lamborghini Reventón – are from the homeland of Carmine Falcone. German cars are also popular. It’s surprising how few cars the Batman has seen fit to purchase from Ford. He is perhaps the most famous subscriber to Henry Ford’s dictum: You can have any colour you want, so long as it’s black. Enjoyed this article? You might also enjoy our latest editorial on Iron Man’s death in the Avengers Trailer or the data output generated by the Matrix. You can find those and other interesting things in our Editorials although if you want a selection of our most popular check out the “Greatest Hits“. You might also want to follow us on Twitter or Facebook to get the latest and greatest from Centives. ← Should you Donate to a Campaign or a Super-PAC? I need car for The movie.